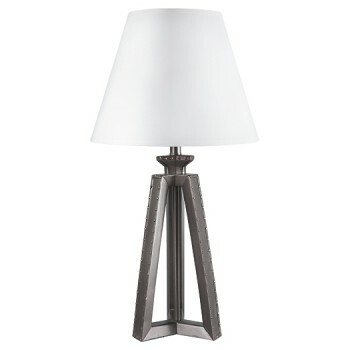 This table lamp resembles a tripod with its triple triangle base. Metallic finish with aged-looking rivets provides an undeniably industrial element. Crisp white shade allows the distinguished base to speak for itself.